Gmail has always been evidence to me that the best things in life are free (friends, family, love - all that too). Starting now, it is about to get even better. After years of testing new features inside the lesser used Google Inbox, some of the best ones are making their way over to our beloved email service. This includes snooze's on emails, one-click unsubscribes, nudges, and smart reply are just the beginning. Learn more about how you are about to get a whole lot more efficient by heading over to The Verge. On the bright side, the city is doing a bit more creative thinking around the subject as of late. How does the idea of being paid to let somebody live in a small house in your backyard sound? Strange? Well, that is exactly what about 100 homeowners have an interest to do! An LA pilot program will pay homeowners to build small properties in their backyard to eventually house stable individuals of the homeless community. Those pushing for the program hope that “backyard houses” if successful will be a valuable solution and a win-win for people on both sides of the coin as neighborhoods around the city become entirely unaffordable. The idea goes up against NIMBYisms in a literal way that will hopefully stir up some meaningful conversation and more importantly action. If you're like me, you spend at least a few hours each day digging through the web to find the perfect reference image -- the one image that best communicates your vision for the tropical, neon geometric thing-y you see in your head. While I do have mad love for Pinterest, it's often cluttered with recipes, your mom's craft projects, and shabby chic wedding inspo. Enter Savee, the Pinterest for the design-inclined, complete with the kind of features that will wet your creative whistle -- like the ability to adjust the padding within the viewer or the size of the images on the screen. P.S. I would have never found this had our Art Director, Content, Alex Tan not turned me onto it. All props to him. is nostalgia the secret ingredient? I think a lot about how we are continually repeating the past, specifically in culture. Fashion and design trends happening now aren’t reinventing the wheel, rather just bringing the conversation back up that we all forgot about. 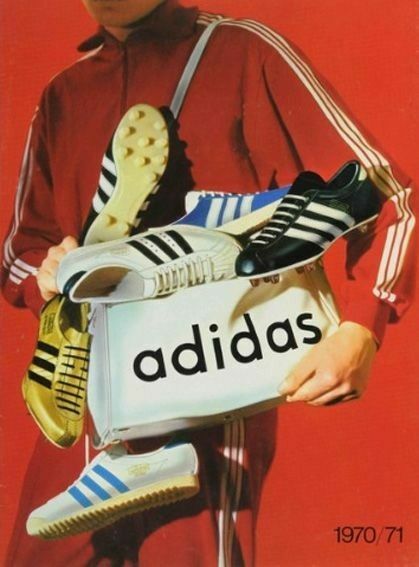 A friend of mine sent me a photo of an adidas ad from 1971, and beside the fact that photograph was low resolution, you wouldn’t have been able to tell whether it was shot 50 years ago or today. Everything from the styling, typeface, and lighting of the photograph felt like the kind of content I see almost every day from popular streetwear brands trying to play into the past. Even editing digital photos to look as if they were shot on film is trendy. Hell, actually shooting film has become trendy. So why do old things become popular again? I think there is good chance that we’re just bored. Or maybe that the past gives us familiarity and something to hold onto. Whatever it is, I would argue that our nostalgia is one of the most human things about us. And as long as we’re human, the trends will continue to come back around.